Matt black finished (instead of brushed metal). Read the original FX603-P documentation (in Englisch / Spanish ) to see what the FX-603P could do. 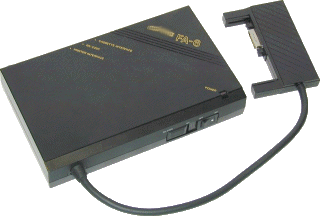 The FX-603P was released 1990 one year after production of the FX-602P had ceased. It was the time where (Sharp) BASIC programmable calculators - or pocket computers as they called them self - dominated the world. 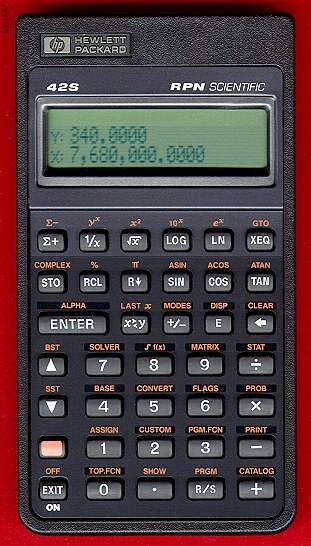 Looking back we now know that BASIC programmable calculators where only a stop gap until until the market split into true pocket computers (like the Psion Series 3, the Atari Portfolio and later Palm) and a new enhanced generation of keystroke programmable calculators. C… too had BASIC programmable devices as well (FX-840P .. FX-890P) but it seems that C… noticed that BASIC calculators are not for everybody and quickly released released a new keystroke programmable device to continue the FX-502P linage. 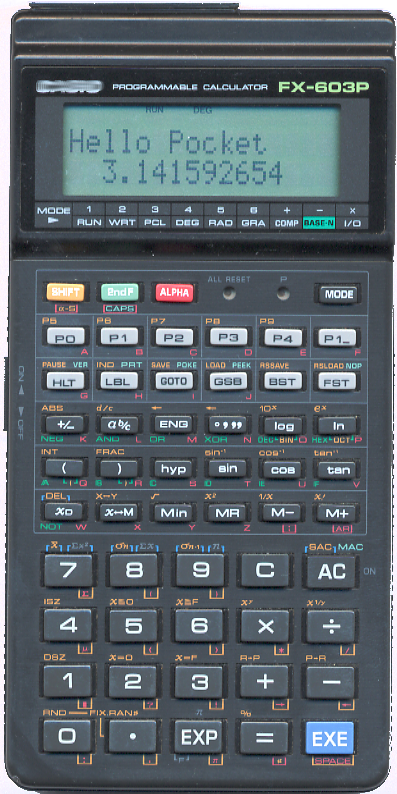 However the emphasis lies on quickly - while the FX-603P is certainly a good calculator it was not state of the art and had only a hand full of new functions when compared to the FX-602P. 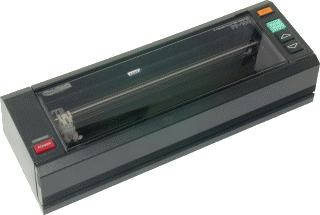 For comparison: At the same time (1988-1995) HP sold the HP-42S which could do complex and matrix arithmetic. You don't notice of course if you look at a picture - it's outside simplicity could fool a teacher in believing that the calculator is not programmable. 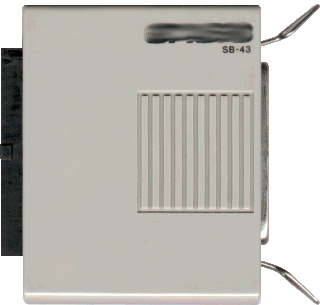 The secret of the HP-42S outward simplicity was the use menu based user interface. A feature all newer keystroke programmable now device have. However - it is this very menu based user interface which make modern calculator less appealing. For example: doing hex calculations with my HP-35s is just plain painful. Hex Calculation on the FX-603P on the other hand are pretty strait forward and as easy as it get with a multi purpose device. There is one feature of the FX-603P which is a true improvement over the FX-602P : The FA-6 multi interface. The same C… used for most of it's BASIC programmable calculators. This interface was relay cool! 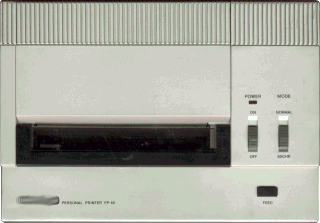 It featured a Centronix printer interface, a RS-232 I/O interface and a cassette interface all in one. 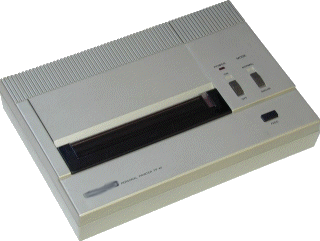 And it contrast with for example the HP-42S which only had infra-red output and no input. This was so that the HP-42S was allowed to the tests by various examination boards. This marks was another turning in calculator design: Many calculators today are not designed by what the user wants or needs but by what examination boards allow or deny. With this great interface connector and the larger memory the FX-603P was what the FX-502P should have been. Only 10 years to late. The company which produced the FX-603P has forbidden me to use there trade mark. Well, that is fully within there right so I just comply, don't take any risks and stopped mentioning the company name all together.